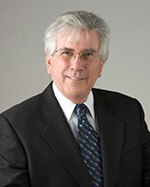 Ken Achs is the President and CEO of the Mid-West Group of Companies. He was born and educated in Saskatoon at the University of Saskatchewan and is the personification of the western entrepreneur. In 1964, an interest in cars developed into a successful auto body and parts business. By the mid-1960’s, the success of that business allowed an investment in real estate and so began Mid-West Development and eventually the Mid-West Group. Today, Mid-West is diversified with its primary business in real estate development/property management and financing in western Canada and the western USA. The automotive division of the corporate group consists of OK Tire stores and Auto Body Specialties, a paint wholesale distribution company in Saskatchewan and Alberta. While most of his real estate developments are in contemporary commercial and residential properties, Ken has a real appreciation for buildings of historical significance, and has become a respected developer of heritage properties, receiving numerous awards from the City of Saskatoon’s Municipal Heritage Advisory Committee and the Saskatchewan Architectural Heritage Society. His flagship heritage project was the redevelopment of the historic CP Railway Station in Saskatoon designated as a national heritage treasure. Ken’s passion for historic properties is evident in his involvement in the massive redevelopment of the historic King George Hotel property by Meridian Development Corp., a company co-founded and co-owned by the Mid-West Group. Like many others, the project was fully financed by the Mid-West Group. With his reputation in business, Ken has been invited to attend western Canadian elite business leaders’ summits, has been recognized in national business publications and in Peter Newman’s best seller, Titans, a selective “who’s who” of the new Canadian business establishment. Ken’s opinion on real estate development and business are frequently sought by government and the media. Dedicated to fostering entrepreneurship, he is proud to be a mentor in the Raj Manek Mentorship Program and was the recipient of the Program’s 2014 Above and Beyond Award. In 2008, Ken was awarded the Fraser-Gatrell Memorial Award for distinguished contribution to planning by the Association of Professional Community Planners of Saskatchewan (APCPS). This award is presented to a person who is a non-member of APCPS that has significantly contributed to urban planning and who has directly enhanced the planning profession. For his body of work in re-developing and restoring many of Saskatchewan’s buildings with significant historic architecture, in 2010, at Government House, Ken was personally honoured with the prestigious Saskatchewan Architectural Heritage Society ‘President’s Award’, an honour rarely bestowed in the long history of the organization. In 2011 with Saskatchewan’s new found reputation as the place to do business in Canada, Ken Achs was asked to chair the inaugural Saskatchewan Real Estate Forum attended by the most prominent people in western Canadian real estate. In recognition of his overall achievement in business excellence, in 2012 Ken Achs was inducted to the SABEX Business Hall of Fame. Ken owned and drove a successful Top Fuel race car on the international circuit in the 1960’s-70’s. He was inducted into the Canadian Motorsport Hall of Fame in Toronto in 2002/03 where his dragster was on display as a centrepiece attraction until it was loaned to the Canadian Drag Racing Hall of Fame in Montreal to honour Ken as an inductee in 2016. He is an active participant in 50+ hockey in Saskatoon. Ken and his wife, Colleen, divide their time between Saskatoon and Palm Springs, California, but with their roots embedded in Saskatoon, it will always be home. While business frequently takes Ken away, in his rare time away from work, Ken can be found golfing in Palm Springs or enjoying his Saskatoon river bank home with their pets, and water skiing on the South Saskatchewan River. Colleen Wilson brings her many dimensions and interests to Mid-West. As a graduate of the University of Saskatchewan (U of S) College of Law and experienced legal counsel, she oversees Mid-West’s acquisitions and internal legal affairs. She was a member of the Saskatchewan Law Review and has guest lectured at the U of S College of Law in administrative law. In addition to studying law, Colleen has also studied fine art and architectural history at the U of S. She enjoys creative pursuits and as a flair for everything related to style. Since 1994, Colleen has worked on designing and developing award-winning real estate developments with her husband, Ken Achs for Mid-West, and since 2004 with her other business partner, Karl Miller at Meridian Development, creating both interior and exterior themes. 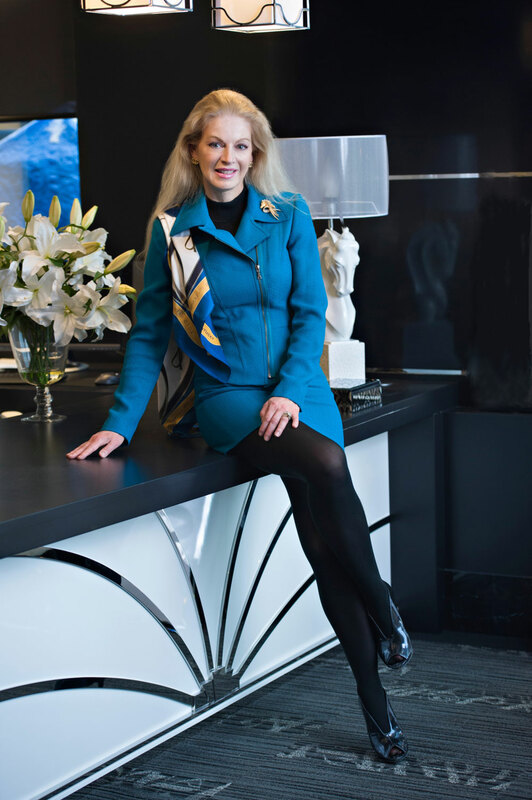 Her uncompromising sense of style can be seen in many aspects of Mid-West and Meridian properties. Additionally, Colleen is president of The Seville Group: corporate, media/entertainment and design consultants. With a strong family background in the industry of horseracing and an adept knowledge of gaming and administrative law, Colleen was appointed in 1991 as chair of the Saskatchewan Horse Racing Commission. Shortly after horseracing was amalgamated with gaming, she acceded to the chair of the Saskatchewan Liquor and Gaming Commission where she served three governments until late 2008. She has been a keynote speaker at several national and international conferences in the industries she regulated. In other areas of interest, Colleen is a past governor of the National Theatre School of Canada in Montreal and a past director of the U of S Equine Research Health Board. She has been active with several charitable boards and with her great fondness for animals, is currently a director and co-founder of Pets in the Park. To many people, however, Colleen will always be known as a Global Television personality, fashionista and talk show host/producer who was a familiar face on screen for over 20 years talking with everyone from celebrities to politicians. While real estate development now dominates her work life, she has always retained her fondness for the television media and occasionally makes guest host appearances. Away from business, Colleen is an avid equestrian, owner of thoroughbred race and show horses and an animal lover. She also enjoys movies, music and painting and occasionally sings at charity events. She has shown her oil paintings in one-woman gallery shows and many are part of public and private collections. Mostly she enjoys riding and spending time with her family horses and pets. Colleen and her husband, Ken, live in their home along the banks of the South Saskatchewan River. Trevor Jacek is Chief Financial Officer of the Mid–West Group of Companies. In this role, he oversees all financial and administrative functions of the corporate group. 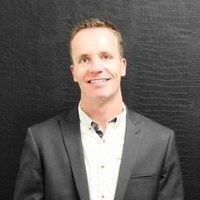 He received a Bachelor of Commerce from the University of Saskatchewan and holds the Chartered Professional Accountant (CPA) and Certified Management Accountant (CMA) designations. Prior to joining the Mid-West Group, Trevor held senior financial positions with different companies in the mining, forestry and manufacturing industries. Mr. Jacek also spent time working for a corporate finance firm that specialized in the provision of transactional advisory services, restructuring, business valuation and interim management. Trevor is involved in the community. He is the former President and is a board member of Saskatchewan Drag Racing Association Inc., a not-for-profit entity that owns and operates Saskatchewan International Raceway (SIR). SIR is the oldest operating drag racing facility in western Canada and is Saskatchewan’s only NHRA-sanctioned track. Trevor has also coached youth basketball for a number of years. Trevor and his wife Nancy have three children: David, Presley and Taylor. They enjoy travelling and an array of sports. Trevor owns and drives his own drag racing car with which he has won multiple SIR season and NHRA provincial championships. He also plays in the Saskatoon men’s basketball league and races in distance running events. Lise Paquette is Executive Assistant to Ken Achs, a job that is well suited to her multi-tasking personality. Lise is additionally pivotal in commercial property management for the Mid–West Group and is a key liaison for commercial tenant and corporate relations. Born in Ottawa, Lise is francophone and fluent in both English and French. After moving to Saskatoon in 1999 with her partner Terry Hartshorn, originally of Saskatoon, Lise immediately joined Mid–West. Educated in Ottawa, Lise graduated with a focus on office automation and subsequently worked for the National Research Council followed by several federal government departments including Public Works and Government Services Canada, Justice Canada, Statistics Canada and Foreign Affairs and International Trade. During her tenure with Foreign Affairs, Lise provided in-house software training and at Canadian embassies around the world. With a strong work ethic and an enjoyment of the world of business, concurrent with her years in government, Lise created and owned a corporation providing word processing services and training during evenings and weekends enabling her to become proficient in word processing, presentations, desktop publishing and software training. Just prior to her move to Saskatchewan and joining Mid–West, Lise was employed by Ekos Research Associates, a well-recognized national polling firm. Lise and Terry make Saskatoon their home and are devoted to their ménagerie: two pitbulls, a parrot and a bearded dragon. They are avid motorcyclists and enjoy road trips every chance they get.